What is Intuitive Programming System IPS ? Intuitive Programming System are the optional screens that allow you to write and execute programs without dealing with G-code. 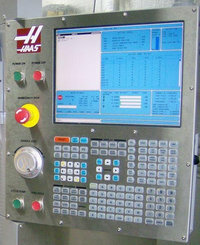 Haas Intuitive Programming System, is a proprietary conversational programming system that makes cnc machine set up and operation easy – even without knowledge of G-code. 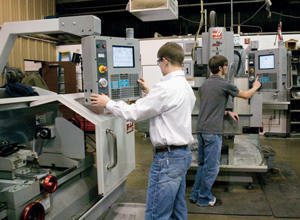 Intuitive Programming System Walk-through for Lathes is a free download manual for Haas CNC machines. This guide will help the user develop full CNC programs by means of the IPS (Intuitive Programming System) screens. The instructions in Intuitive Programming System Walk-through for Lathes are an in-depth look at each of the Intuitive Programming System (IPS) menus. A more formal description is given for each of the entries to help better define the on-screen help for new users. These instructions in Intuitive Programming System Walk-through for Lathes are to be used with the Lathe Operator’s Manual (96-8700) which itself is a free download manual. This is a very simple lathe cnc programming example. 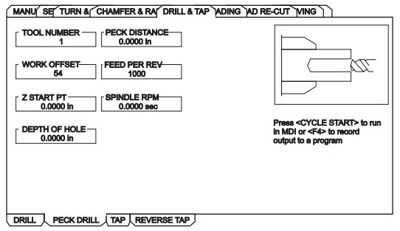 This lathe cnc programming example is for beginners level cnc programmers or for novice cnc programmers. Just simple cnc contour programming….